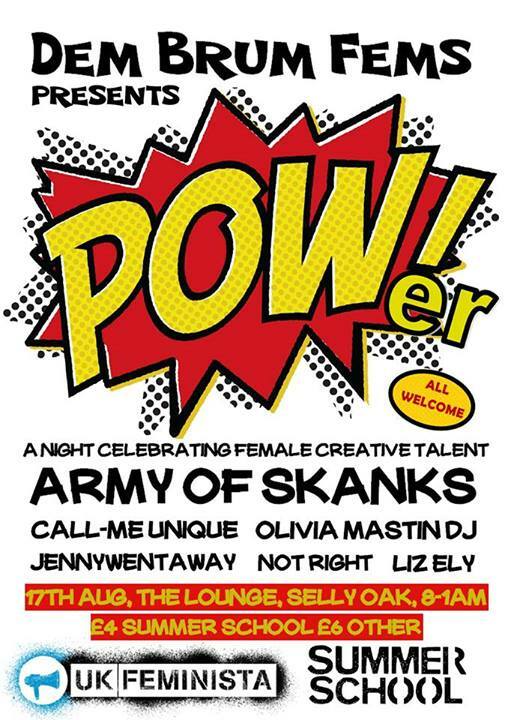 Dem Brum Fems Presents… POWer! A fantastic evening of art, film, comedy and live music to celebrate creative female talent brought to you by Dem Brum Fems. This event is open to all. If you are coming to UK Feminista’s Summer School 2013, this night is the perfect end to your Saturday and tickets are only £4 for Summer School attendees (standard entry £6).